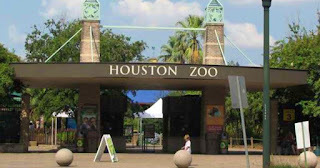 This is one of my absolute favorite places to visit in Houston! 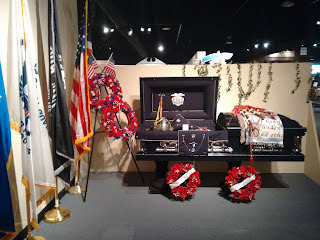 They have permanent exhibits and special exhibits that change every few months or so. 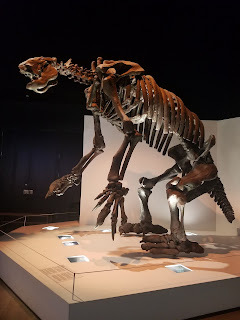 There is something to do for people of all ages here and it is a great place to take the kids to teach them about history, science, and nature. If you have really small children you have to pay a visit to the hall of energy. With lots of hands on activities they are sure to be entertained. Love dinosaurs? The new paleontology exhibit is a MUST! There are life size bones bolted together to create huge dinosaur skeletons. Can you guess which ones are real and which ones are replicas? Price of admission is $25 for adults $15 for children and seniors. In all the times I've been to Houston I've only been here once and I regret not visiting more often. Such a unique experience. Not only is there a really cool aquarium to walk through, but there are white tigers at the end of the exhibit! Don't miss the opportunity to pet and feed the stingrays. I wasn't sure about this one but it turned out to be an amazing experience. Be sure to ask staff the proper way to feed them or you'll end up getting splashed. There is a restaurant on the upper level that I highly recommend. The food is amazing and the view is spectacular! Before leaving for the day be sure to visit the rides and attractions outside including the train which turned out to be a really cool tour! Price of admission is $20.99 for adults $19.99 for children. This is for the all day adventure pass which I highly recommend. Do you have a passion for all things space? 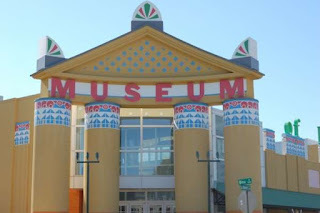 Or maybe you're just interested in visiting a really cool hands on museum? Space Center Houston is a great way to spend at least half a day. I've been here twice and both times were a blast. 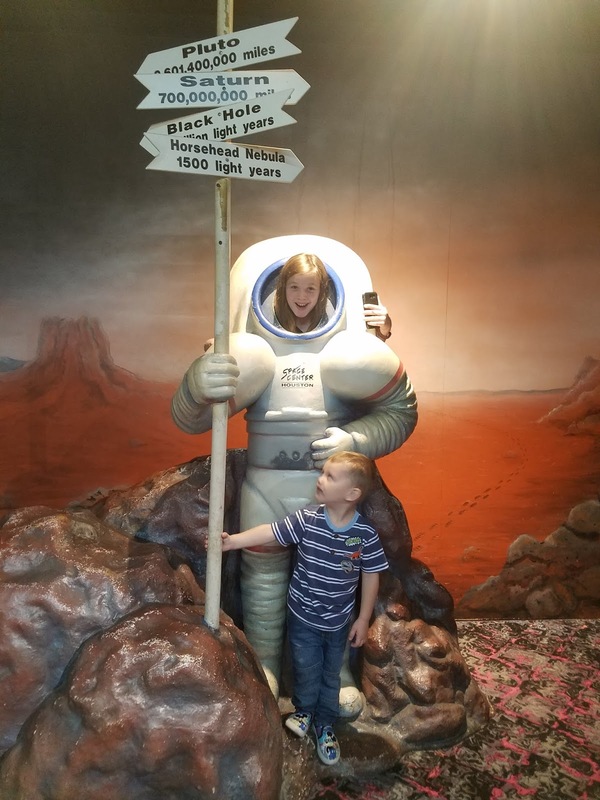 Touch a piece of the moon....go inside an actual rocket....take a ride on a space rocket simulator. So many activities and information on space that this place is not to be missed. If you're wanting to do the tram tour be sure to get in line early. The lines get really long for this one and it's something you won't want to miss! Price of admission is $29.95 for adults $27.95 for seniors $24.95 for kids. I LOVE zoos! Every city I visit I always go to the local zoo, if there is one, to see the many different animals and exhibits they each have to offer. The Houston zoo is one of the best I've been to. This zoo is really large and has everything from tigers to flamingos and everything in between. One of the best things about this zoo is the large Children's Zoo they have. There are many hands on activities for the little ones here and even a carousel. 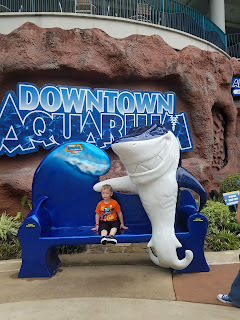 All throughout the year they even have holiday themed events like zoo boo for Halloween and zoo lights for Christmas so if you're visiting during a holiday you should check out one of these popular events. 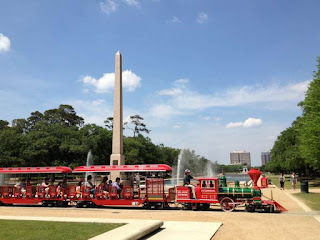 Don't miss a ride on the Hermann Park train which is located right outside the zoo. It's a fun and unique experience people of all ages will enjoy. Price of admission is $19 for adults $12.50 for seniors $15 for children. If you're looking for some nice family time in the heart of Houston then look no further than Hermann Park. Located right next to the zoo this park has everything from picnic tables, running trails, playgrounds, gardens, and even a huge lake with paddle boats. Bring a picnic lunch for the family and set up next to the playground so the kids can play and have fun. Take a ride on the Hermann Park train. Do a turn around the lake in a paddle boat. There's so much to do here. I've been here several times but I have yet to enjoy the lake although this is definitely on the bucket list. Admission to the park is free but there is a small fee to ride the train and the paddle boats. 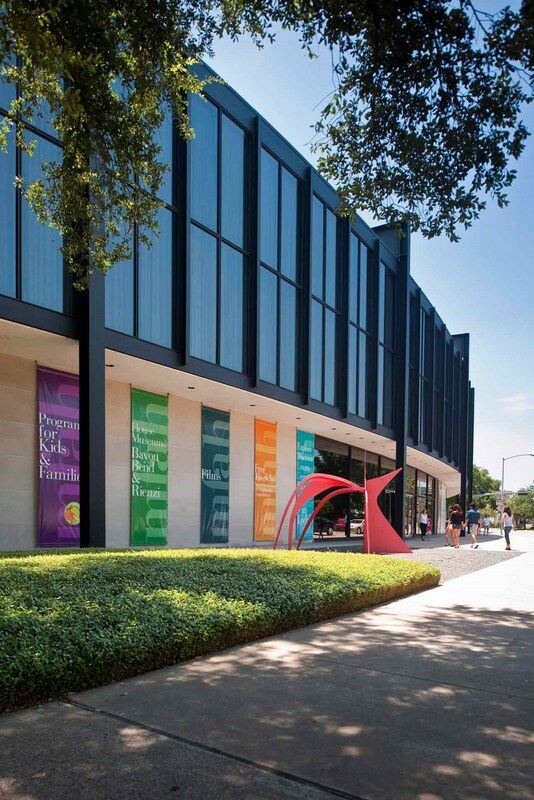 Coming to Houston and looking to do some shopping? 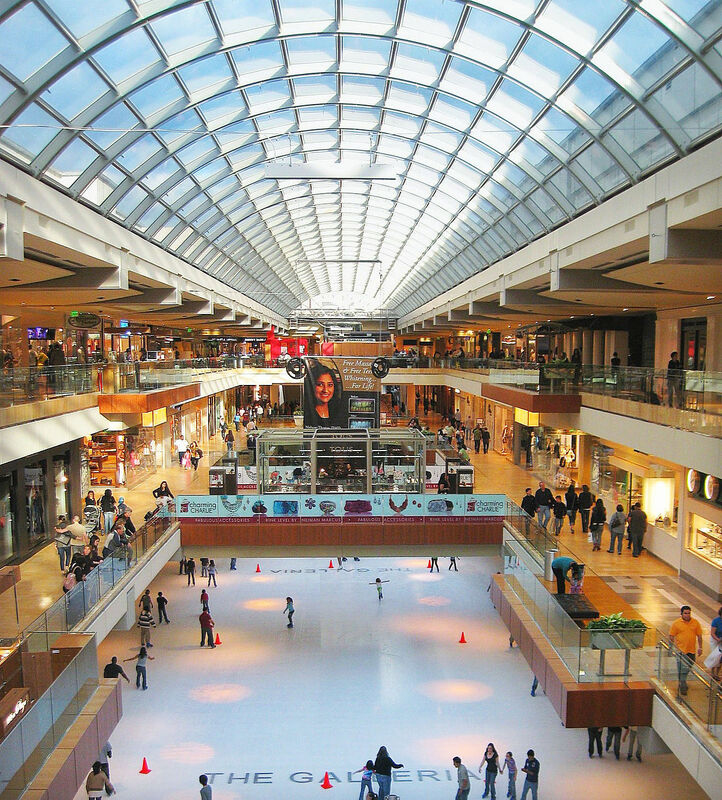 The Galleria is the place for you! 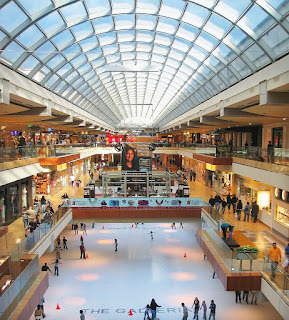 Spanning more than 2.4 million square feet and housing more than 400 stores, The Galleria is the largest shopping center in Texas and fourth largest in the US. I've been here several times and it's definitely a shopping lovers dream! One of the most unique things about this mega mall is the large ice skating rink inside. Take a turn on the ice or just sit and watch others as they enjoy the fun. The Galleria is especially pretty around Christmas with all the lights and decorations but if you don't like large crowds go during the week. I went the day after Christmas one year and I could barely walk around there were so many people. Admission is free but there is a fee to ice skate. I've personally never been here but I have heard so many wonderful things about this place I had to include it in this list. A super interactive hands on experience for the little ones, this place is not to be missed if you have small children. There are fun learning exhibits that teach math, science, and fitness. One of the most popular exhibits here is the challenge rope course. Kids will love this rope obstacle course. One of the best things about this place is you can't get in without at least one child in your party. This is for the safety of the children and to help prevent child predators from entering. This however is the main reason I've never been seeing as I've only recently become a stepmom and have no children of my own. Price of admission is $12 per person. This is another museum I've never been to but have heard great things about. 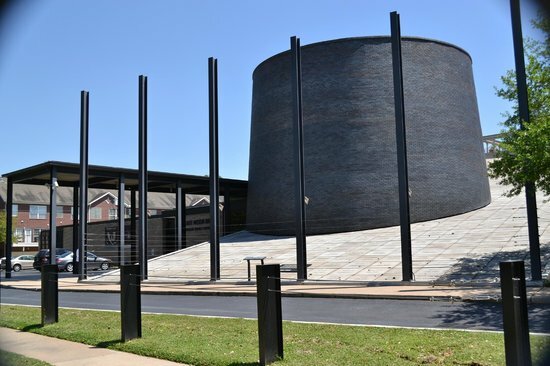 This museum was founded in 1900 and has more than 65,000 works from the art of antiquity to present day art. If you are an art lover then this place is a must for you. I've only recently added this to my bucket list as I've never been much of an art lover before but I'm trying to broaden my horizons LOL. 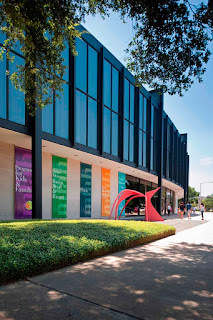 Don't miss the sculpture garden that is always free to visit. Admission is $15 for adults $10 for seniors $7.50 for children. Kids under 12 are always admitted free of charge. Admission for everyone is free every Thursday! I'm sure you just read that and asked "WHY". One thing I love to do when visiting new places is to seek out weird and unusual museums or places to go. 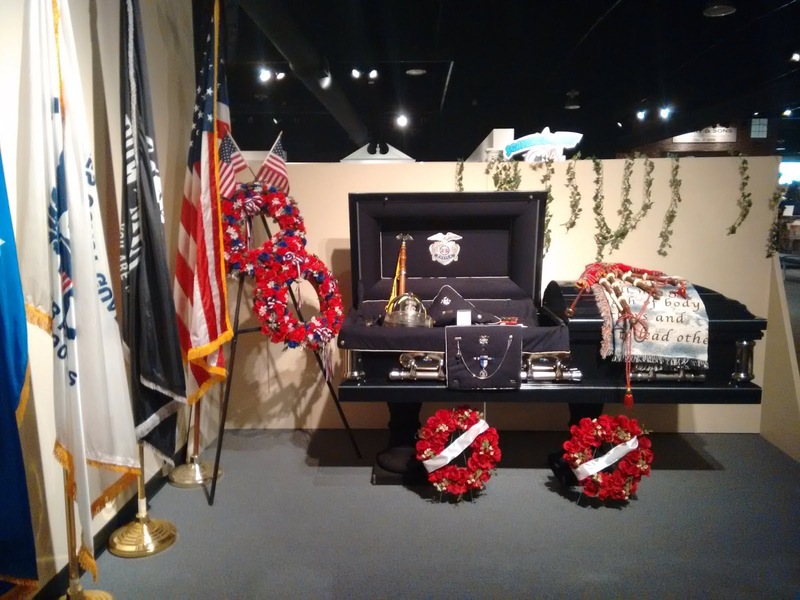 This museum houses the largest collection of funeral artifacts in the US and even has memorabilia from famous funerals such as Elvis Presley and John F Kennedy. I have yet to visit this place but it is at the top of my bucket list! Not only is it quirky but it's loaded with history which I LOVE! Price of admission is $10 for adults $9 for seniors $7 for children. This is the only museum I've ever visited that made me cry. I was here 19 years ago as a senior in high school and I couldn't even imagine enduring the pain the people in the pictures did. This museum is dedicated to educating the public on what happened to the Jewish people during WWII and to hopefully teach tolerance of other cultures and religions. A visit to this museum is certainly eye opening to say the least. They are actually in the process of expanding the museum and the new and improved museum is scheduled to open Spring of 2019. I'm planning to pay another visit once it does open to see what's changed and if there are any new exhibits to check out. Admission is $12 for adults $8 for Seniors. Not recommended for children under the age of 10. The Houston Livestock Show and Rodeo is a seasonal event that takes places from the last of February to the middle of March every year (February 25-March 17, 2019). Not only do people from all over come to compete in Rodeo style competitions, there is also a HUGE shopping area with livestock shows and of course a large carnival outside for the kids. 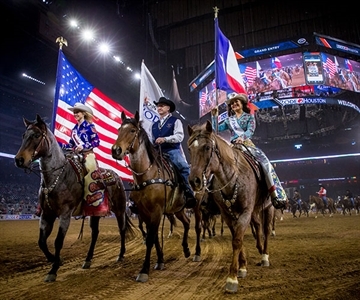 One of the best things about visiting Rodeo Houston is the food. There are so many types to try but is it really a trip to the Rodeo without barbeque?! I haven't been in quite a few years but I'm hoping to be able to visit again soon. Prices vary for the Rodeo depending on the day and which seats you want. If you have a rodeo ticket your admission to the park is free. If you just want to visit the carnival and livestock show then the price of admission is $15 for adults $5 for children. Houston is such a large diverse city that there's no way a visit here will be boring. With so much to see and do you're sure to have a blast no matter what you decide to do. A little helpful hint when traveling to Houston: plan ahead and allow extra time to drive to each location. Traffic in Houston is a nightmare and I've never been without at least some road construction or an accident holding me up for 15 minutes or longer. Have you been to Houston? What's your favorite thing to do? Any places not mentioned that I should add to my bucket list? I'd love to hear your stories. 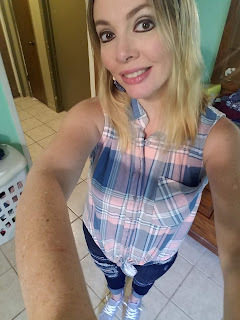 You can send me a message or comment on my Facebook page @melwashereblog or send me an email at melwashereblog@gmail.com Have a wonderful day! This was a pleasure to read. I'm from the other side of globe and US cities to me are simply enthralling. Loved the "history bit" of Houston. I've only ever been to Fort Worth, but would love to go back and visit more cities of the awesome state! Great roundup! I love aquariums so that'd definitely be on my list, as well as the fine art museum. 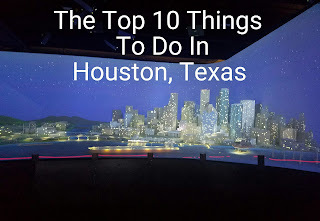 Houston is on my list! I love this list! 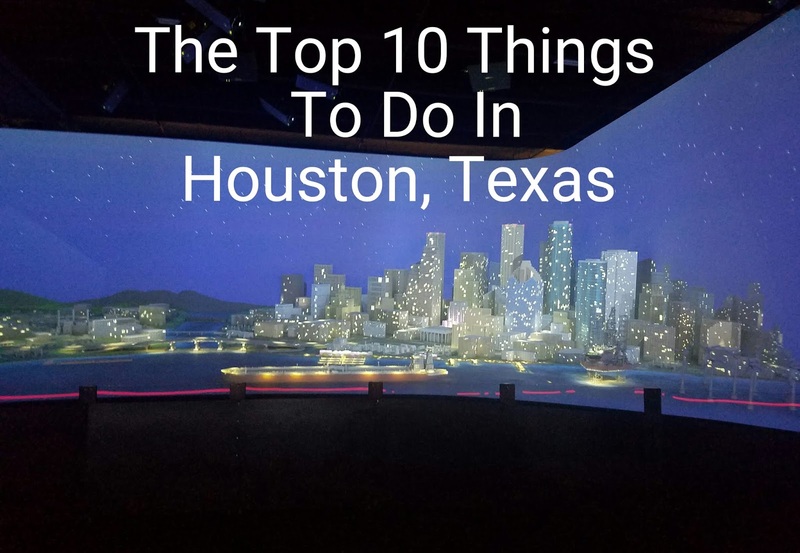 I visit Houston often as my aunt lives there and I typically go to NASA and the pier but I'd love to see some other sites - thanks for sharing! I've been wanting to visit Houston so bad!! I have a friend from there and she misses it so much.